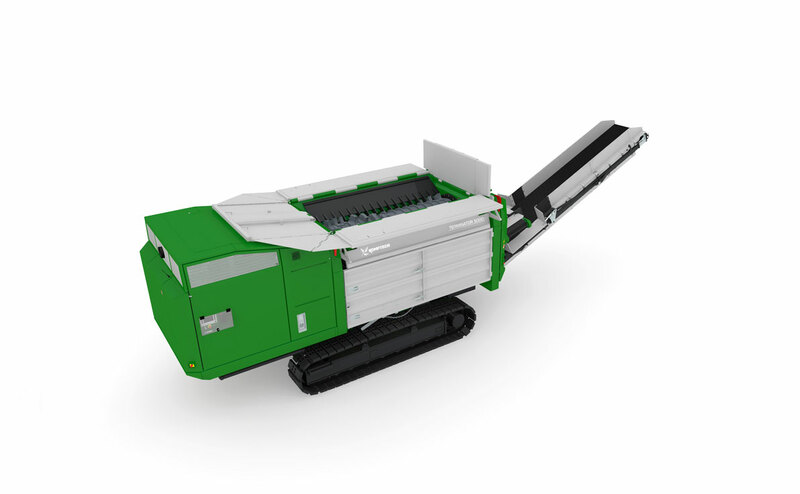 Waste processors today demand shredders that can handle just about any material. Designed with aggressive feed capabilities and heavy duty reversing shafts, Komptech shredders efficiently consume the toughest materials and deliver product at the right size. The Terminator, with its single shaft drum design with spiral tooth arrangement, adjustable counter comb, and powerful by CAT® Tier 4 diesel engine, easily shreds the most difficult waste materials including heavy C&D, tires, mattresses and carpeting to your desired particle size. Whether you're processing wood waste, land clearing debris, or rigid plastics, the Crambo is ready to handle the most difficult waste materials you can throw at it. 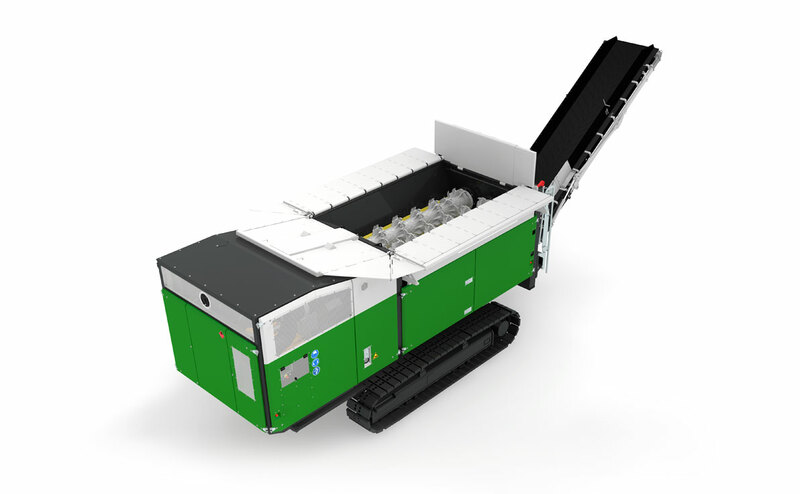 This variable speed, mobile industrial shredder delivers high throughput, minimal dust and noise emissions, and low operating costs. HAVE A QUESTION ABOUT SHREDDERS? When it comes to shredding waste, our team is ready to help you accomplish more by delivering industry and product expertise combined with world-class parts and service support. How can we help you?